Finally, the wait for all Destiny lovers is over, Bungie has launched the first official trailer of the sequel e five different editions: Standard Edition, Standard Season Season, Digital Deluxe Edition, Limited Edition and Collector's Edition. The game will be called Destiny 2 and will be available from ' 8 September 2017 su PS4, Xbox One e for the first time on PC. 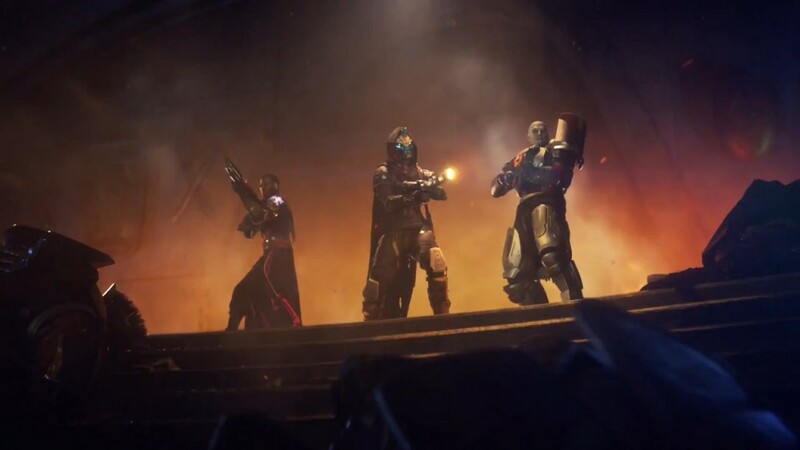 The official trailer came out 30 March and sees the huge Cabal fleet Overwhelmed The city now wrapped in the flames, as had been announced in Grimorio's papers, here the three leaders of the Vanguard (the group of guardians for the protection of the city) are intent on their decisively personal speech of encouragement to the troops of guardians survivors. You notice the familiar faces of Zavala the head of the Titans, Cayde the leader of the Cacciatori (also the protagonist of the first teaser trailer) is Ikora Rey head of the Witches. The speeches are diametrically opposed .. while Zavala is a hymn to honor and commitment, that Cayde's idiot behaves. Look at it and you will understand! 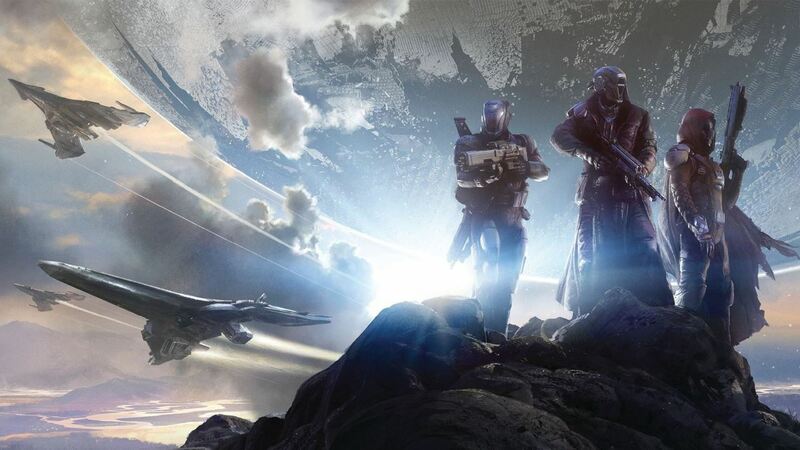 From the trailer and the contents of the collector's edition it is deduced that the main opponents in the second chapter it will be Cabal, a people dedicated to the war and definitely hostile. Somehow seen in the last chapter along with the Vex, the Fallen and the Hive. Standard Edition for 69,99 € which only contains the complete game. But with the prefix of the physical or digital version it allows early access to the beta of Destiny 2. Standard Edition + Pass Expansions a 99,99€ which will contain both the full game with the Season Pass that the ability to access the 1 and 2 expansion, on a date after the title launch automatically. Digital Deluxe Edition a 109,99 € that includes the base game, the Season Pass and some digital content such as Legendary Sword, Emote for Legendary Player and Empire Empire Cabal. Limited Edition always a 109,99 € that includes a physical copy of the game, access to 1 and 2 Expansions, one Steelbook case with exclusive artwork, the Premium Boxed Boxing Box with the Inset containing the Secrets of the Cabal Empire, the Cabal Project, Postcards, Cabal Pedes, and digital content identical to those from the Digital Deluze Edition. 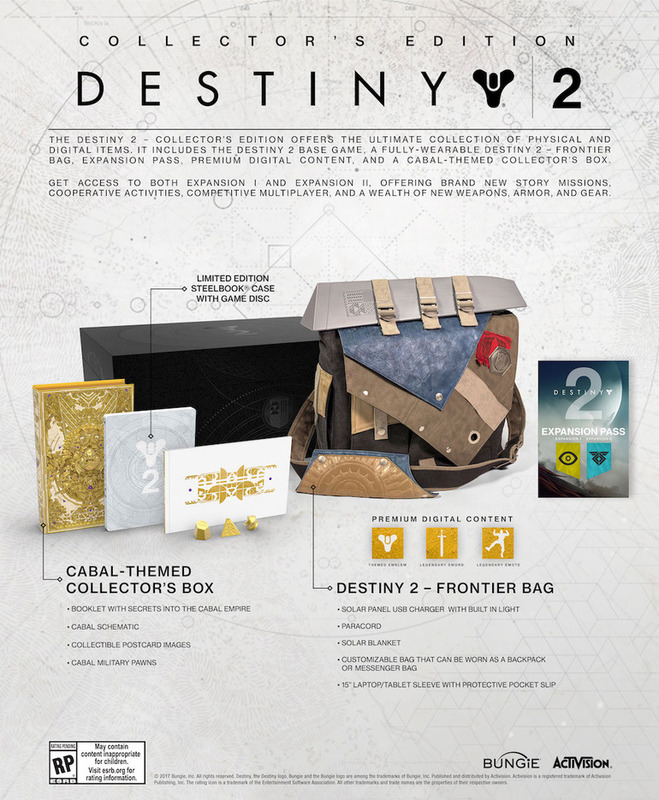 Collector's Edition a 249,99€ (there is so much money, but it is worth it) that includes the physical copy of the game, the Season Pass (with access to 1 and 2 Expansions), the Frontier bag, the laptop / tablet case (from 15 inches), the Border Kit which includes a solar powered USB charger with integrated light, a Paracord, a thermal blanket, a Steelbook case, the Insole with Cabal Empire Secrets, postcards, Cabal Project, Cabal Pedal and digital content. Season Pass a 29,99€ which allows access to the contents of 1 and 2 Expansions. Available soon in digital format on PlayStation Store, Xbox Store and Steam. next articleThe Accattino Vs. Overlord AGGRATISE !!! Since I was little I entered the video game world by experimenting with various consoles and genres. Obtained the first "playable" PC I have dedicated to MOBA and MMO-RPG.